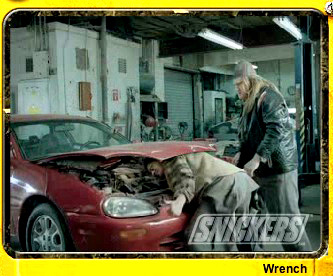 Home News Snickers Superbowl Web site promotes violence against gays and lesbians. Bears & Colts players react in disgust, on camera, to gays. 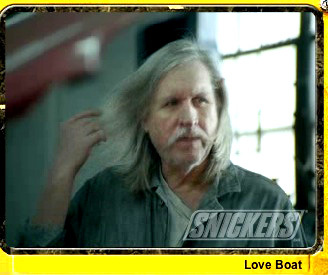 Snickers Superbowl Web site promotes violence against gays and lesbians. Bears & Colts players react in disgust, on camera, to gays. UPDATE: Snickers pulled the Web site containing the homophobic ads and commentary. Still no word from Snickers about the entire affair. UDPATE: The largest gay civil rights group has called on Mars to remove the offensive content. UPDATE: The Mars family, that produced the violently homophobic ads, is one of the top billionaire Republican activist families in the country. More here. TAKE ACTION: Contact Snickers here. If you thought the Snickers ad during last night’s Superbowl was somewhat homophobic, you ain’t seen nothin’ yet. My good friend Andy Towle alerted me this morning to the fact that the Snickers’ Web site outright endorses violence against gays. Snickers has set up a Web site where you can view the ad that aired last night, and you can watch recorded-live-on-video reactions of real Bears and Colts players watching and reacting to the ad, and you can even watch the ad with 3 additional endings not shown on TV. 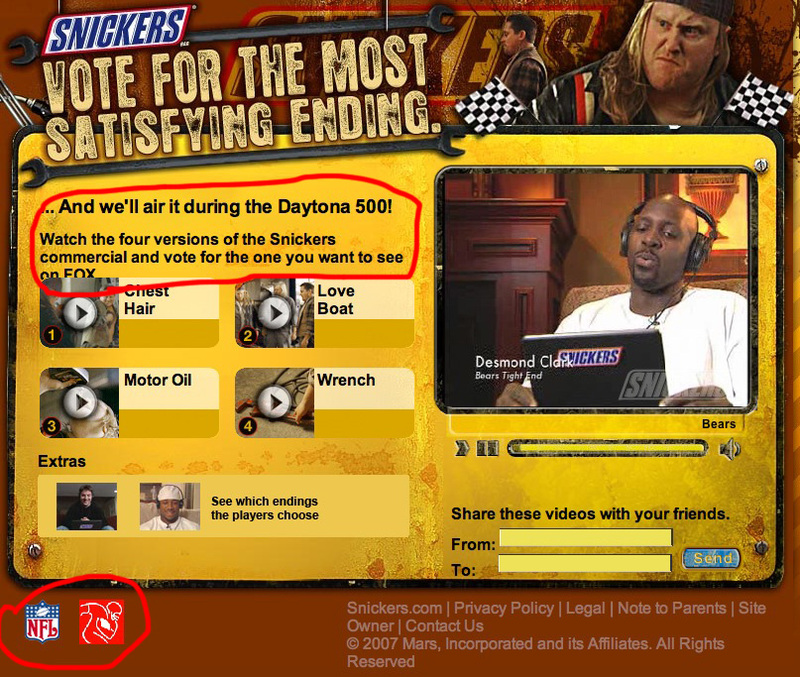 You then vote on the three endings and the most popular one will air during the Daytona 500. 2. Then you really need to watch the endings of the OTHER three commercials that Snickers shot, the commercials they’re considering airing during the Daytona 500. Ad 2 (Ad 1 is the original ad that aired): “Love Boat.” After the guys kiss, a third guy walks up, effeminately brushes his hair out of his eyes, and says, “Is there room for three on this Love Boat?” as if he’s gay. 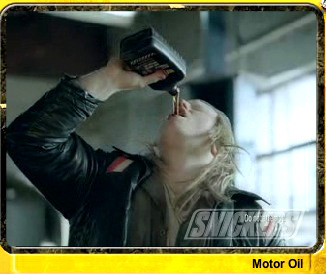 Ad 3: “Motor Oil.” After the guys kiss, they say “I think we just accidentally kissed – quick, do something manly,” and proceed to drink motor oil and I think anti-freeze – they guzzle it down, screaming at the top of their lungs, making them sick to their stomachs. The ad is vaguely violent – better to die than be gay. And here the guy gets his head smashed by the car hood. The entire thing is absolutely sickening. And while I can appreciate that Snickers didn’t overtly think that promoting violence against gays and lesbians is “funny,” they knew what they were doing. They were gay-bashing for fun. And they didn’t just cross the line – they left the line in the dust. One final point. Why is the NFL logo on the bottom of the Snickers homophobic Web site? Why – because the NFL gave its permission for its logo to be on this Web site promoting violence against gays. And the Bears and the Colts gave their permission for their players to be filmed reacting in horror to gay people. Something which is rather ironic, but not surprising, consider the Colts are already in hot water for using their brand to fundraise for homophobic hate groups. 1. Mars Incorporated, the parent of Snickers, is in McLean, Virginia. That would be about a ten minute drive from where Joe and I live. I see some major “Snickers kills” protests coming soon at Snickers headquarters. 2. I give it one hour before the major gay groups weigh in and accuse Snickers of promoting violence against gay men and lesbians. 3. Then it will probably be the end of the afternoon, or maybe tomorrow, when members of Congress start writing letters to the head of Snickers, demanding he address the company’s call to violence. If you’re in a Hill office, please consider doing this – and feel free to contact me for more information. I’d recommend a press release and a letter to the Mars president. omorrow, we’ll start seeing articles in the press about Snickers associating its brand with violence against gays. 5. And the Mars boycott will probably be called for by some independent activist by tomorrow, I think. And once that happens, it’s out of our hands because there isn’t much of anything Mars can do to negotiate with independent actors who will smear the company, permanently, online (remember folks, once something hits the Internet, it’s in Google forever). I’ve called the head of corporate public relations for Mars and am waiting to hear back. I’ve also talked with the lead press guy for the Human Rights Campaign, the largest gay civil rights group in the country, and they’re not very happy, to put it lightly. As the guy who launched the first-ever successful boycott of a TV show (StopDrLaura.com), I’m going to suggest to Mars that they had better nip this in the bud quickly, or they’re not going to know what hit them.